The five-star Sunrise Grand Select Crystal Bay Resort boasts a breath-taking location on a private lagoon by the Red Sea, which means you are never away from the glistening waters and the powder-soft sands. Whether you’re travelling with kids or looking for a romantic getaway, the hotel has special offers and packages for families, couples and honeymooners. Guest rooms in the hotel feature all modern amenities and overlooks the garden, pool or the sparkling Red Sea. More than a dozen restaurants and bars serve an array of cuisines and flavours from all across the world. The private beach allows travellers to revel in the sea, or enjoy water sports such as snorkelling, scuba diving, windsurfing and sailing. Guests can also take a dip in the swimming pool, or enjoy sports and activities like beach volleyball, soccer, tennis or horse riding. Those looking for complete relaxation head to the on-site spa that provides different kinds of massages, sauna and body and facial treatments. With kids’ club, children’s playground, kids’ pool and a plethora of activities, young guests too will love the Sunrise Grand Select Crystal Bay Resort experience. 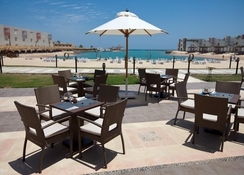 Sunrise Grand Select Crystal Bay Resort is located directly on the beach in Hurghada overlooking the Red Sea. Set amid lush gardens, the resort boasts a tranquil surrounding but is also in proximity to city life. Senzo Mall, the famous shopping centre, can be reached in just five minutes. 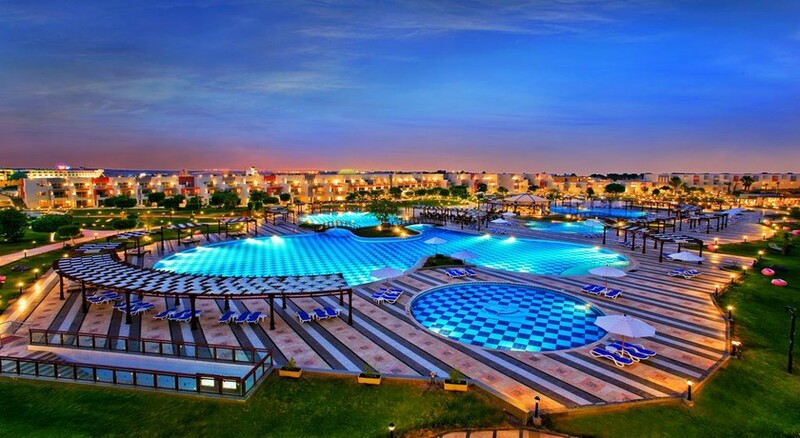 Hurghada city centre is 20 km away and is dotted with restaurants, cafes, bars and shopping centres. The hotel is only 15 km from Hurghada International Airport and a shuttle is available upon request. 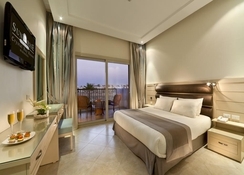 There is a total of 364 rooms in different categories in Sunrise Grand Select Crystal Bay Resort Hurghada and each room overlooks the sea, garden or pool depending on the location. The rooms are divided into Superior Room, Deluxe Room, Junior Suite, Family Suite, Executive Suite, Pool Suite, Jacuzzi Suite, Crystal Suite and Royal Suite. 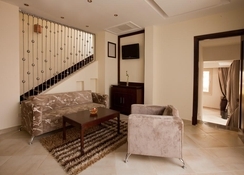 There are also rooms for travellers with special needs. The comfortable rooms and suites come with king size bed or twin beds, air conditioning, balcony or terrace, bath rooms with shower and bathtub, wardrobe or dressing room, TV with satellite channels, free Wi-Fi, telephone, safe, mini bar and coffee and tea making facilities. The Pool Suite has a living room with terrace and a private swimming pool, all with views of the sea, while the Jacuzzi Suite comes with a private Jacuzzi on rooftop. The main restaurant, Rainbow, serves international cuisine for breakfast, lunch and dinner in buffet style. 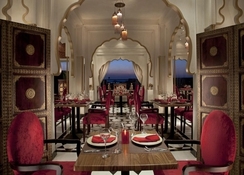 Classic Mediterranean cuisine is dished up at Panorama a la carte restaurant. Guests can dine on fish and seafood at the waterfront Felucca restaurant while enjoying scenic views of the Red Sea. Those looking for exotic flavours can step in the Masala restaurant that specialises in Indian cuisine. The Grill House restaurant prepares grilled meats for dinner, while the Poseidon offers an open buffet of tasty snacks during the day. The hotel also has Roots restaurants serving vegetarian, vegan, low-fat, gluten-free and dairy-free dishes for the health-conscious travellers. 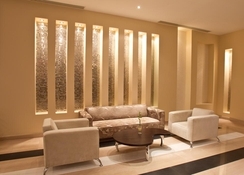 The hotel also has a wide choice of seven bars and cafes where you can enjoy your favourite cocktail anytime of the day. These include Cocktail Bar & Lounge, Pyramid Lobby Bar, Alf Lela Shisha Cafè, Sunrise Pool Bar, Royal Club Lounge, Illusion Pub and Champion Sports Bar. A range of activities on land and water are up for the guests at Sunrise Grand Select Crystal Bay Resort. The private beach featuring sun loungers allows you to sink your toes into powder-soft sands or enjoy water sports such as snorkelling, scuba diving, sailing, kayaking, windsurfing or parasailing. The hotel also offers aqua aerobics, water polo, swimming competitions, banana boat and boat trips in yachts and glass boats. There are two swimming pools, one of which is heated in winter and a Jacuzzi pool. Sports lovers can opt for beach volleyball, soccer, tennis, or indoor games like table tennis, billiards and darting. To stay fit during holidays, use the hotel’s fully equipped gym, or take part in the fitness programme. The in-house spa offers complete rejuvenation of body and soul with massages, sauna, steam, Jacuzzi, Turkish bath, body and facial treatments. The hotel’s children’s club takes care of the young guests through an array of games and activities throughout the day, along with water fun at the kids’ pool and outdoor sports on the children’s playground. Was nice, room was clean and food was good. Ther's not lots to do but great if you want a week of hotel relaxation.